EAST PATCHOGUE, Long Island (WABC) -- There was a frightening scene on Long Island Tuesday night. At least five boats went up in flames at a dock in Suffolk County. 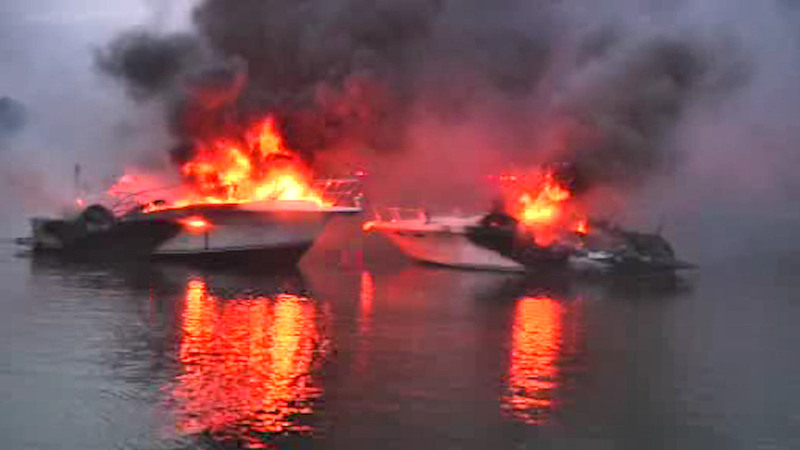 Firefighters battled the fires in East Patchogue as other boat owners tried to save their vessels. The U.S. Coast Guard and the Suffolk County Police Marine Bureau were called in to help put out the flames. It's still not clear what sparked the fires.